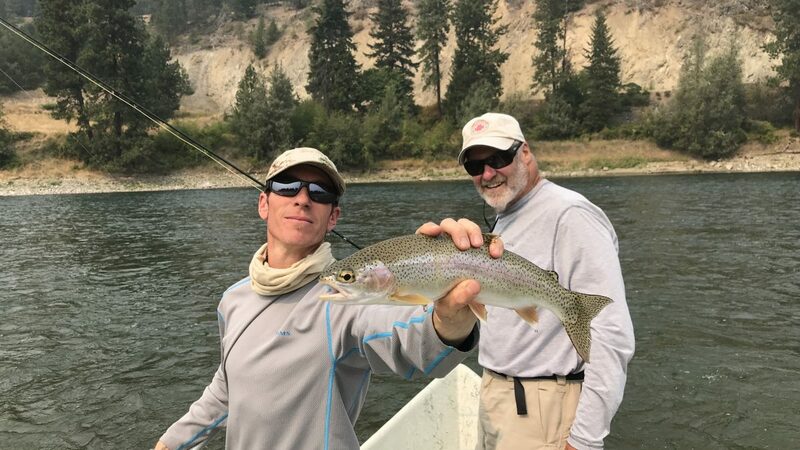 Late August finds the Kootenai River already beginning the transition from summer into fall, and while we’re not too excited to be that much closer to winter, autumn is our favorite fishing season here, hands down. The scorching days go away, the kids go back to school, and suddenly our already uncrowded river becomes deserted-just the way we like it. The Kootenai is flowing at 9,000 cfs out of Libby Dam and water temps are ranging from 59-64. Ambient temps are starting to drop though, and river temps will soon follow; we are seeing night temperatures into the high 30s and 40s. 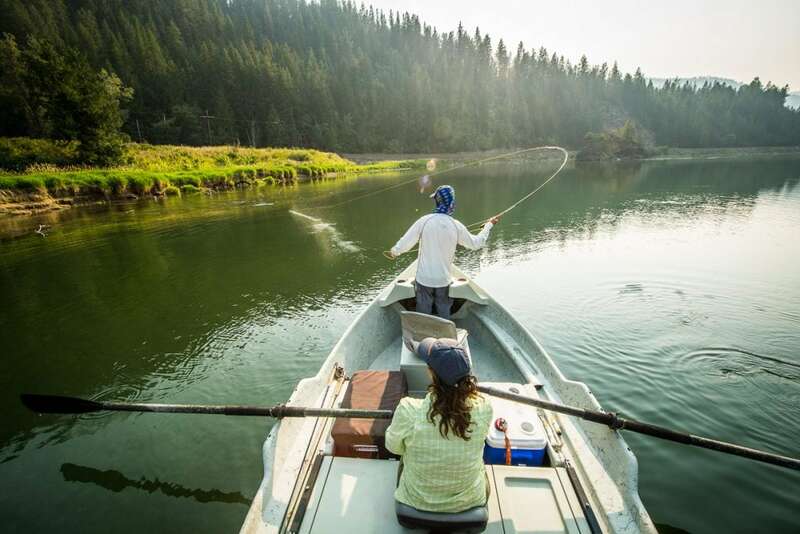 The flows are scheduled to descend to 6,000 cfs on the 1st of September, which will give us a whole new river, causing more conducive currents to form in some spots, less conducive currents in others, and fish will rearrange themselves accordingly. Overall it’s been a great summer fishing season, trout are looking healthy and we’ve enjoyed some of the better insect hatches throughout the system in years, mostly caddis and mayflies. The big bug terrestrial action has been excellent river-wide for the last month and will continue on into September, with fish responding to twitched or skittered flies with explosive takes. We’re starting to get some smaller items on the menu too. 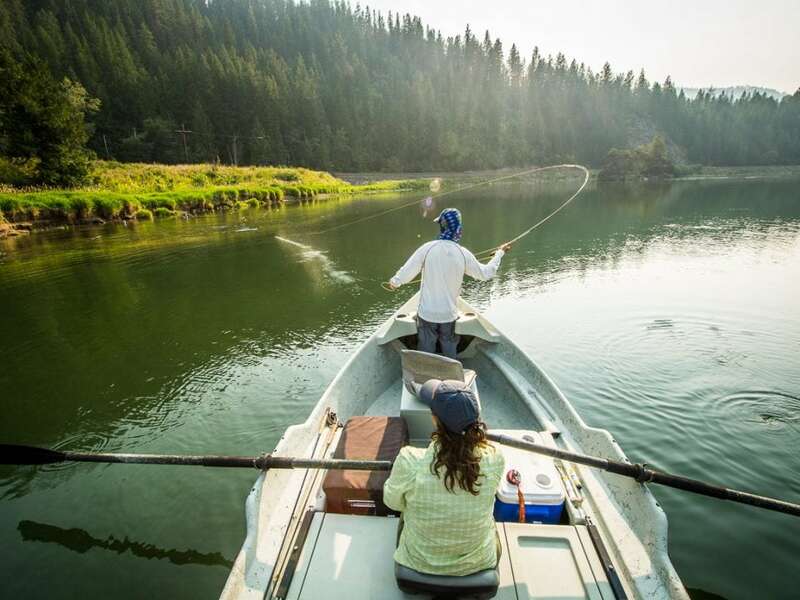 We saw our first of the dreaded micro ants on the river yesterday, a bug in the 18-22 range that must taste like nectar, because they bring every fish in the river up, whitefish included. It takes a trained eye to pick out a quality trout to target from the rest of the noses dimpling the river like rain, a fun game in itself. In the beginning you can often get them to eat something big and different, but once they start keying in on ant, it becomes one of the more maddening small dry games we know. Hecubas are also starting to come off sporadically on the lower river, and it’s another one of those hatches that fish key in on like heat seeking missiles. When they do, it’s game on. No trouble seeing these guys, they are a size 12 mayfly with a mottled wing and amber body. And, with some long overdue rain in the forecast this week, we should start to see the blue winged olives out and about as well. Our fall BWO’s run smaller than the spring variant, in the 16-18 size range. Fish really love the fall olive too. So bring on the drizzle! It’s not just the olives that need moisture. Despite a record snowpack, we’ve had almost no precipitation since snowmelt. It’s crackly out there, and smoky from myriad nearby fires. 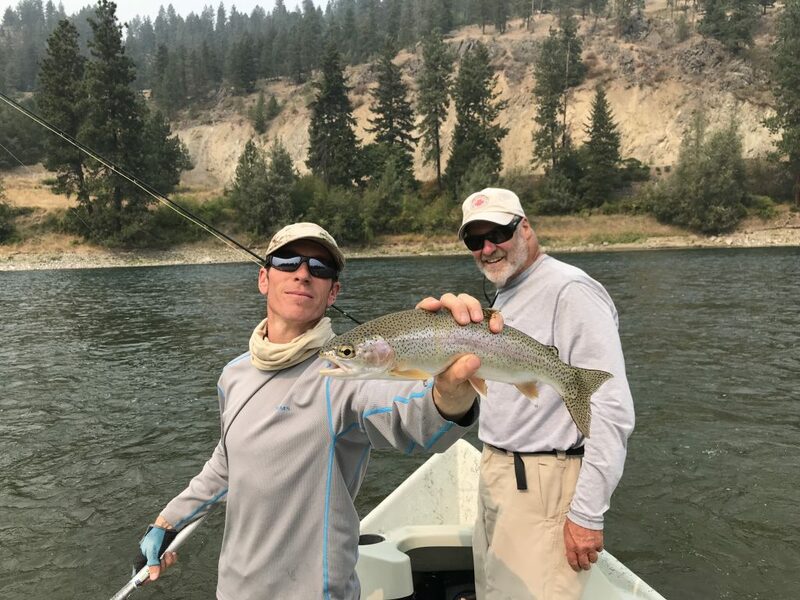 There have been several days recently when the smoke was thick enough to create an artificial cloud-cover, which seemed a silver lining on the river, as the bigger fish were more comfortable coming up. Even so, the real thing would be much preferred, and it’s good to see rain in the forecast.